Fully functional Basic Sensbalance Software is included, which consists of basic measurement & recording biofeedback software and 18 therapy- exercise games. 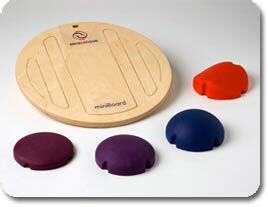 The Sensbalance MiniBoard is applicable everywhere a conventional wobble board is therapeutically used, … but now with the extra dimension of visual feedback, both in a movement measuring environment and in an entertaining exercise/game environment. Main capital of The Netherlands?